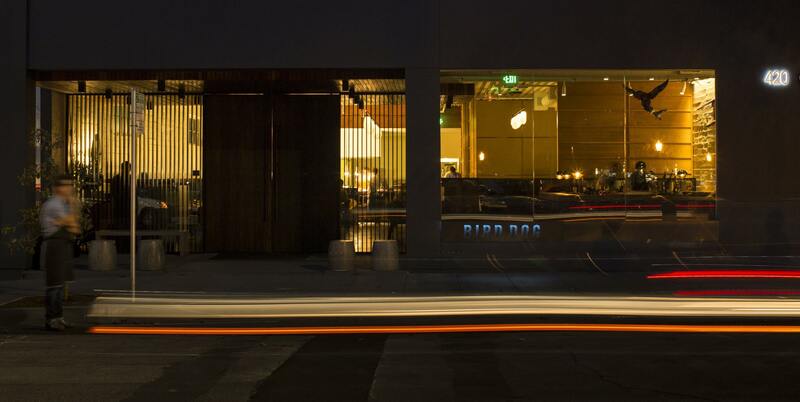 Bird Dog serves the food of the modern day Peninsula. Our menu is influenced by the rich cultures of Northern California, Japan and wherever we recently traveled to eat. and we finish it with our contemporary approach. Our sleeves are rolled up. though our music may be a little loud, at times. Spirit and vigor are paramount. 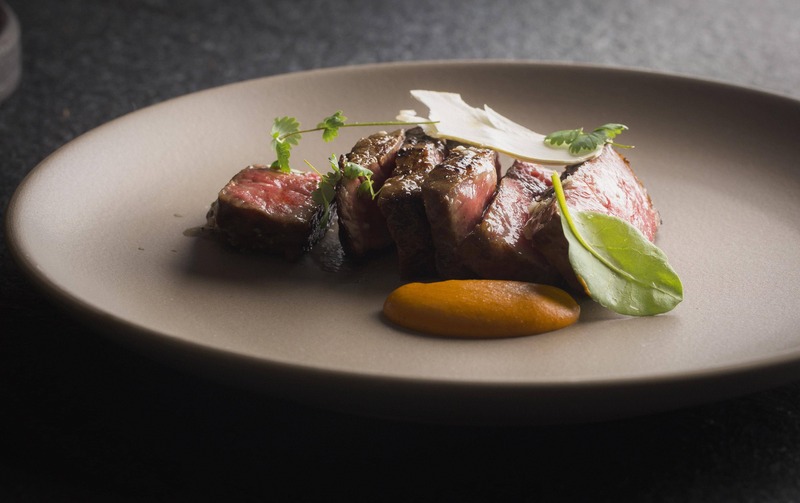 Chef Robbie Wilson showcases Northern California’s bounty via Bird Dog, with the simple allegiance to create a cuisine that he wants to eat. A Texas native, Wilson first discovered his passion for cooking during his senior year of college at Texas Tech University, where he attended on a soccer scholarship. He spent the year working under Gabriel Rosseau at Gabriel’s, a local, old-school French restaurant, where he was inspired to deviate from his family’s generations-long law school path to become a chef. Rosseau encouraged Robbie to hone his skills by cooking his way through restaurant kitchens in France, and Wilson relocated and traveled extensively throughout the country. He then landed in Roanne, and received a classical French training under the tutelage of chef Michel Troisgros at his Michelin-starred Maison Troisgros. Wilson returned stateside and took a job at Tom Colicchio’s celebrated Craft restaurant in New York City. He then moved to Aspen and joined chef George Mahaffey at Conundrum, a progressive new American restaurant, before working at The French Laundry, Thomas Keller’s lauded restaurant in Yountville, California. Here, Wilson became enamored with the area’s premium ingredients. 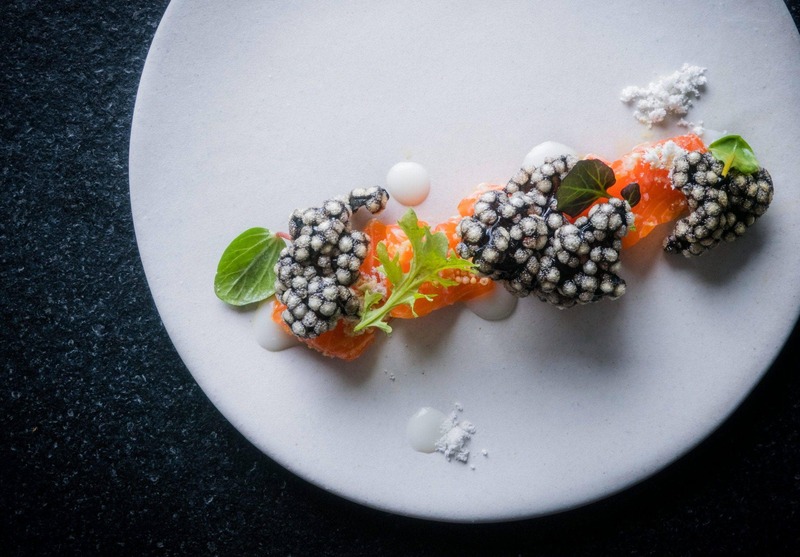 In 2004, Wilson worked with Nobu Matsuhisa at his eponymous restaurant in Aspen and developed an understanding of Japanese minimalist aesthetics and obsession with pristine ingredients, which are evident in his cooking today. While in Aspen, Wilson met Emily, and soon the pair moved to Nashville, Tennessee. In 2010, Robbie joined MStreet Entertainment Group as the culinary director, overseeing the group’s five restaurants including: Kayne Prime, Virago and Tavern. Here, Wilson gained valuable leadership experience and developed menus encompassing a range of varied cuisines. In 2012, Wilson was tapped by Charles and Ali Banks to partner with them to reopen and reinvent the historic Mattei’s Tavern in scenic Santa Barbara wine country. At this 1886 landmark, Wilson drew from his classical French training and commitment to supporting local farmers to create thoughtful and imaginative cuisine reflective of the region’s melting pot past. The existing Mattei’s Tavern Restaurant closed in January 2016 as construction began on The Inn at Mattei’s Tavern, a boutique resort blending the area’s rich history with modern luxuries, with plans to re-open in spring 2018. Robbie, Emily and their young son Colt spend their time exploring their new Northern California home, enjoying all the Bay Area lifestyle has to offer. to work beside her husband, and has been Robbie’s partner in business and marriage ever since. While overseeing operations for Bird Dog, Emily feels grateful every day, as she loves time with her husband and son, as well as connecting with the community of Palo Alto. We appreciate your interest in BIRD DOG and will respond shortly.